Our Spectra Coated Coffee Mug With Logo from the mug department here at Calendar Lady Promotions is a durham mug available in six standard colours. Pantone matched colours available on quantities of over 500 pieces at additional cost. So have your business details and company logo printed upon our Spectra Coated Coffee Mug With Logo and stay advertised. Colours: Red, green, purple, silver and gold. To find out more about our Spectra Coated Coffee Mug With Logo click here and fill in the contact form and we'll get straight back to you. 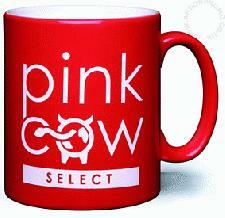 Other promotional and personalised items besides our Spectra Coated Coffee Mug With Logo click here.